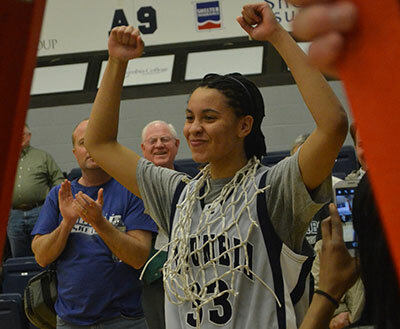 It’s an exciting time for fans of Columbia Cougars basketball…not just with the men’s team, (who by the way are 33-0 and ranked number one in the nation), but women’s basketball is heading down to Frankfurt, Kentucky as a #4 seed in the NAIA Division I National Tournament. Bob Burchard is not only the men’s basketball coach, but also the athletic director. He joins us on this Pressbox Podcast to talk about the success of both programs and how he’s handled dealing with a perfect season with his players. It may sound boring, but all teams approach a season by taking it “one game at a time.” How many times have we heard that? It’s true and Burchard hasn’t gotten wrapped up in the 33 straight wins, but more on the process of getting his team better each game. He admits he can’t grasp how the team has gotten this far without a loss. You’ll hear Bob explain how there are four potential outcomes to each basketball game. When you hear Bob lay out the different scenarios, it makes any win streak sound amazing. The Cougars will play Oklahoma City University in the first round of the NAIA Division I Men’s National Basketball Tournament. Columbia received an automatic bid into the tournament after winning the American Midwest Conference tournament title, will square off against The Stars from Oklahoma City at Municipal Auditorium in Kansas City at 7:00 p.m. on Wednesday, March 13. The Columbia Lady Cougar basketball team will face Shawnee State (Ohio) University in the first round of next week’s NAIA National Championships in Frankfort, Ky. Tip-off is scheduled for 10:15 a.m. on Wednesday, March 13th at the Frankfort Convention Center. 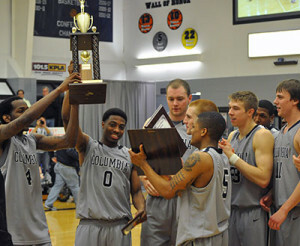 Columbia, the American Midwest Conference (AMC) regular season and tournament champions, moved up two spots to No. 13 in the final Top 25 poll of 2012-13 season. The Lady Cougars improved to 27-6 overall on the year with a thrilling 91-83 victory over William Woods (Mo.) University in last week’s AMC championship game. The tournaments are a single-elimination format featuring 15 automatic qualifiers from Division I affiliated conferences and independent institutions, one host berth and 16 at-large teams. The top 16 teams are seeded in descending order and paired against 16 unseeded squads in the opening round. First round action in the NAIA National Tournaments begin on Wednesday, March 13 and continue through Thursday, March 14.